Note that the links are the same for male puppies and female puppies. On the PayPal invoice that you pay, you can specify the litter you want. However, it is not necessary to do this if you are not sure which litter you want your puppy from. Once deposits are in place, deposit holders get priority on choosing the litter from which to select their puppy. Deposits can also be changed between litters without any problems if needed. 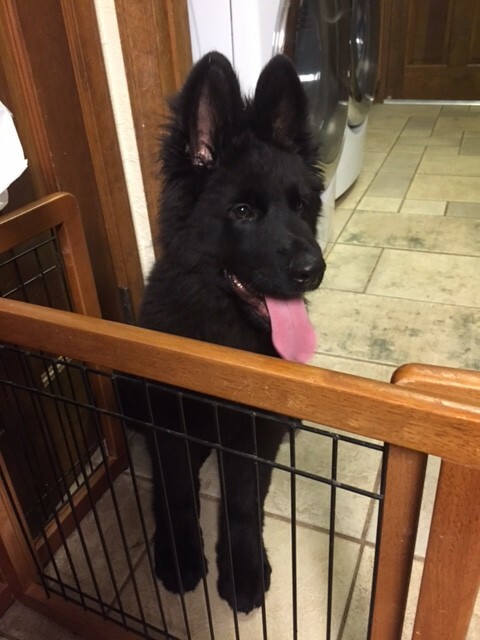 Please note: If you are serious about getting the highest quality black German Shepherd in North America, which is what you will get from us, you will have to place a deposit for your black German Shepherd puppy. It is the only way to insure you will get a puppy around the time frame you are looking for. Use the PayPal Buttons below to make a deposit and reserve your puppy! – Shipping fees are $485.00 which includes flight, transfer to airport, crate cost and health certificate necessary to fly (for the continental United States and Alaska only). For outside of the continental US, fees vary based on flight cost and import requirements of the country you are shipping too. – We offer a standard health guarantee, which covers hip and elbow guarantee on all our puppies that we sell, good up to 1 year of age. In addition, we guarantee there is no genetic disorders up to 1 year of age. If there is an issue with hips, elbows or genetic disorder, the puppy will be replaced at no cost to you for the new dog, but this must be verified by a certified vet and confirmed by our vet. We offer our standard health guarantee (no charge), extended him and elbow guarantee (for 2 years at an additional charge), and a Breeder’s Guranatee (for 2 years, at an additional charge). For the full details on our different health guarantees as well as information on breeding rights, click here. On the highly rare situation where this may occur, you will only have to pay for the shipping of the replacement puppy. Or, you are welcome to pick up the puppy and bring the original dog back at the same time. SHIPPING IS NOT INCLUDED IN OUR GUARANTEE! No other specific or implied guarantees are included. You have made a very wise choice considering purchasing a puppy from us and we are committed to distinguishing ourselves from all other breeders, just as you will witness yourself as evidenced by the dog you will receive. You will see the distinction and superiority of our breeding program in the quality of your new all black German Shepherd family addition. 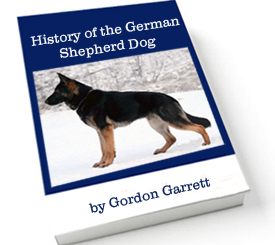 However, that does not mean that every dog we produce we would recommend for breeding. For breeders, there is an additional charge to insure your dog will be of good quality and able to breed. This includes descended testicles, full bite, proper confirmation, etc, in addition to the hips and elbow guarantee. No other specific or implied guarantees are included or inferred. By purchasing a dog from us, you are agreeing to all the above.